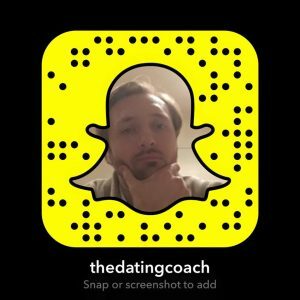 Tips to Get Women Chasing YOU! One of the main takeaways from my workshops is that you should be making women qualify themselves to you. You shouldn’t be out there trying to impress them. You should be pushing the right social buttons to create intrigue. 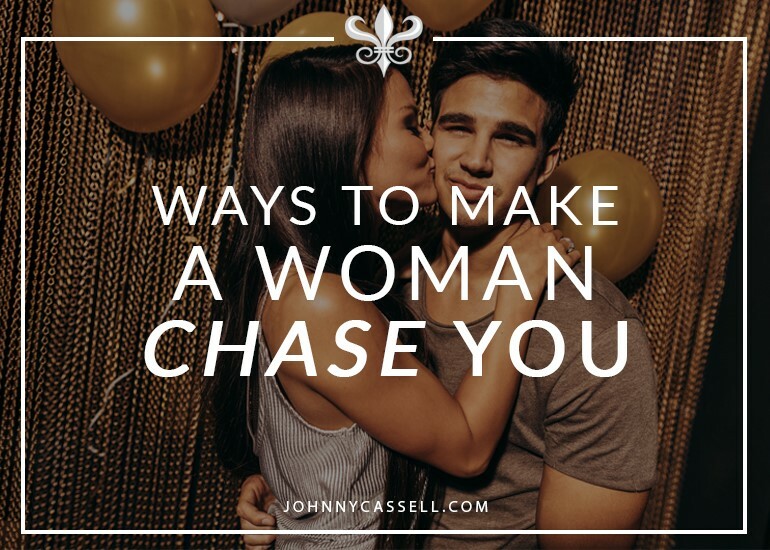 You need to know how to make a girl chase you like crazy. I’m going to share a few tips to make her chase you. Make an impact on your approach. If you’re going for a hot woman in a bar, chances are you’re the 50th guy to approach her – that hour. Most of those approaches will have been identical. Do the opposite of what the masses do. You have to stand out from the crowd. Look at how guys are approaching her and literally do the exact opposite. Break patterns and toy with a woman’s expectations. I’ve shared plenty of articles about how to make an impactful approach. The mind only recognises broken patterns. Make her remember you, and then go and talk to other women. It’s all in the impact of the approach. From the moment you walk up to a woman, they are sizing up what social security you will offer them. It is a natural reaction to an approach. You have to show them that you can meet their needs, and that you live an exciting life into which she feels happy stepping. You can convey this through confidence, sure, but if she’s interested enough in you, she can Google your name and find everything about you in seconds. Make sure that your whole personal brand exudes desirability. Don’t take this to mean photos of needless flashiness and posing with Lamborghinis. You need to come across as tasteful and comfortable in your own skin. Put together an online profile that shows you have all corners of life covered. You’re about business, family, friends, travel, and fun. Demonstrate that you are a man of values. Give them a glimpse of a world in which they would love to be involved. Here’s the kicker: You have to actually have that life. You will only succeed in making your life desirable if you travel to places and build up stories and photos, and by going out with friends and making memories. Work on achieving that balance, and you will be able to lead the first encounter to give women just enough of a hint of how great your life is. They will naturally picture themselves as part of it and want to invest. This also applies if you want to know how to make a girlfriend chase you. Maybe you’re in those early stages of going out and you’re trying to retain a bit of mystery – do something exciting without her. Make a point of not telling her about it until you next meet, and if she shows interest in the activity, invite her out to do it again. Create value by demonstrating her that she is one part of your well-balanced life. There is a huge attraction switch to see a man desired by other women. You look pre-approved by attractive women, and other women immediately want to mark their territory. One of the best things a wingman can say is “he only sleeps with models.” Models approve of him enough to sleep with him! Unconsciously, they feel that if they do the same, it will put them on the same level. It challenges a woman to qualify herself. Make sure there are images online of you with beautiful women. It will have a similar effect. As with the Lamborghinis, don’t go overboard – it will look like you’re trying to overcompensate. Build up your social circle to include attractive, intelligent women, and other women will see their presence in your pictures and become intrigued as to the nature of the relationship. They’ll also start eyeing up any women in your pictures as competition. Leave an open conclusion. Make her curious. Then let her chase you. Pay attention to the less attractive women in the club, and make the most attractive wonder why you’re not talking to her. Make her curious. Build up your social value around the whole venue but exclude her. She should be left questioning why she doesn’t know you, and why her looks aren’t working. You’re conveying the sense that looks aren’t enough and your values and interests lie elsewhere. Anchor positive feelings and emotions every time you see each other. Always top up the positivity scale when you see each other. You need always give her a pleasant, upbeat experience that makes her feel great. Anchor those positive feelings and have her associate you with a warm, fuzzy glow. It is this pattern of positivity that will showcase the power of association. Once you’ve anchored a positive association with your presence, she will feel those emotions when your name pops up in her phone. Always add value to the encounter when you see her. Move conversation in the direction of depth. Go deeper. Get to know her, and share intimate details about life, family, feelings, and experience. This is the language women understand. Get used to using it. She will feel like she’s known you for a long time and be comfortable sharing this kind of information. In short: allow her to associate good feelings with you, and come across as a unique individual. Those are the two key factors in how to make her chase you. Break rapport: As soon as the conversation gets exciting, split. Leave her wanting more. Use humour – sparingly: Well-aimed humour is a fantastic connector. Women have different triggers you need to reach in different ways. Make her laugh, and then pull back the humour. Create appetite. Qualify her: Know what qualities and values you really want in a woman. Don’t just take “hot” as your only qualifier. If she sees a challenge in attracting you, it will make her work harder for it. Negative body language: Make her wonder why she’s not getting attention from you. Turn your back to her slightly and give the sense that you’re not interested. Build your status as a prize: Whether you do this by surrounding yourself with beautiful women, talking to everyone in the room, or hosting the party itself, make sure it’s clear you’re a man to be desired. Leave her wanting more, challenge her ability to attract with only her looks, and always be adding value to yourself in the room. For more expert advice on creating attraction and projecting confidence, visit www.johnnycassell.com/pua-training to find out about my latest Impactful Connection workshops and bespoke 7-Day Programmes.